What kind of stories can communities tell and how can those stories help move us towards careful and kind patient care? We have some ideas. Imagine if a few times a year you met at a friend's house or at the local library (or online!) to spend some time thinking, feeling and talking about health issues. This isn't a lecture from a doctor or other expert offering advice. This is an opportunity for you to hear about what is known about a health topic along with an acknowledgement of what isn't and a chance to start the process of considering what that means to you and how it might impact the decisions you make about your health. We've been experimenting with events like this around the country. Our first topic is Breast Cancer Risk and Mammography Screening for women in their 40s. Women have hosted the events in their homes and at the public library inviting people from their peer network. 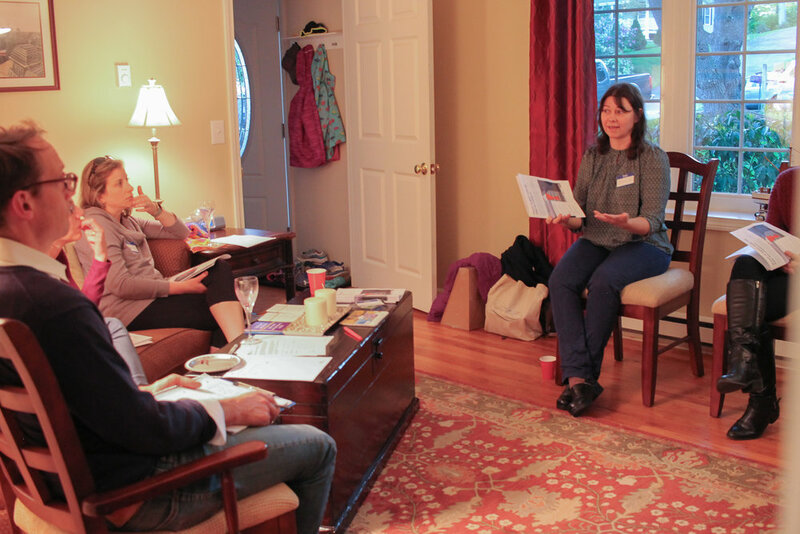 After attending as a participant, some women offer to host their own events. (We call this method the Tupperware party approach.) We are looking at ways to expand our ability to facilitate more events around the country. If you have ideas or would like to partner, let us know. While we encourage patients and caregivers to try to impact their care by sharing stories in their clinical encounters, we recognize that change at the systems level will require more sustained engagement between communities and clinical practices. The Patient Revolution is planning projects with 2 communities to explore what it takes to facilitate a partnership to create solutions that are careful and kind. We'll be revealing the communities in the coming weeks and you'll be able to follow along with our progress and findings here on the website.